"Comfort is the enemy of progress... these are the priceless words that the New Jersey Rapper/Producer/A&R, William Cooper AKA Booth has adopted as his slogan and constant reminder to always keep pushing his way to the top. 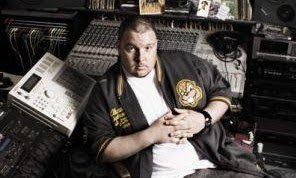 Not even missing a beat, Booth teamed up with legendary rapper Tragedy Khadafi (Juice Crew, Capone-N-Noreaga) to A&R and produce the critically acclaimed "Still Reporting" LP in 2003. The record featured Hip Hop greats Havoc (Mobb Deep) & Capone (Capone-N-Noreaga). This album recieved overwhelmingly positive reviews and has sold over 20,000 copies to date through Solid/25 To Life Records. Later in 2005, Booth was the A&R of Starr Blazz's debut LP "The Way Of The Bullet". The record featured Capone (Capone-N-Noreaga), Nature (The Firm) and Peedi Crack (Roc-A-Fella Records). "The Way Of The Bullet" also hit the Billboard Charts with it's first single/video "Padlock". Knowing that timing is everything, Booth did not hesitate to show that he was much more than a seasoned Producer/A&R. He began showcasing his MC abilities which led to the formation of the supergroup "Black Market Militia". Black Market Militia is a five member group that consist of: William Cooper AKA Booth, Killah Priest (Wu-Tang), Tragedy Khadafi (Juice Crew, Capone-N-Noreaga), Hell Razah (Sunz Of Man) and Timbo King (Royal Fam). The group went on to release two street mixtapes that were followed by their worldwide self-titled debut LP "Black Market Militia" on Nature Sounds Records. The LP received praise from the Hip Hop world and was considered the best Independent release of 2005. One year later in March 2006, Nature Sound released "Natural Selection" which featured a DJ Absolut remix of Black Market Militia's "GemStars". In 2008, William Cooper AKA Booth produced "The Bottom Line", which was the lead single/video on Killarmy's 9th Prince "Prince Of New York" LP. The record was released on Babygrande Records and will be followed by the "Revenge Of The 9th Prince" LP due to be released later in 2009. William Cooper appears on "Revenge Of The 9th Prince" rapping alongside Shyheim (Wu-Tang) on the BP produced track "Sour Diesel". Presently, William Cooper has been perfecting his solo debut masterpiece "Beware Of The Pale Horse" and starting up his own record label "Gemstarr Regime". Booth has spent many years putting this debut together cutting no corners in every aspect of this LP. "Beware Of The Pale Horse" features Hip Hop heavyweights Kool G Rap (Juice Crew), Killah Priest (Wu-Tang), 9th Prince (Killarmy), Hell Razah (Sunz Of Man), Nature (The Firm), Ill Bill (La Coka Nostra), Blue Raspberry (Wu-Tang), Bloodsport, Stoneface and Majesty. Black Market Militia Presents... William Cooper "Beware Of The Pale Horse" is the first release on Booth's own label "Gemstarr Regime" and dropped on October the 20th, 2009. It is distributed worldwide by Traffic/Orchard Entertainment." William Cooper AKA Booth is a Wu-Tang affiliate and a founding member of Black Market Militia, an underground hip hop super group whose members include Timbo King, Hell Razah, Tragedy Khadafi and Killah Priest. William Cooper is the most political of the group (as you can probably guess by the name he has given himself) and as he is one of my biggest influences of late, I thought I would share some of his music with you.